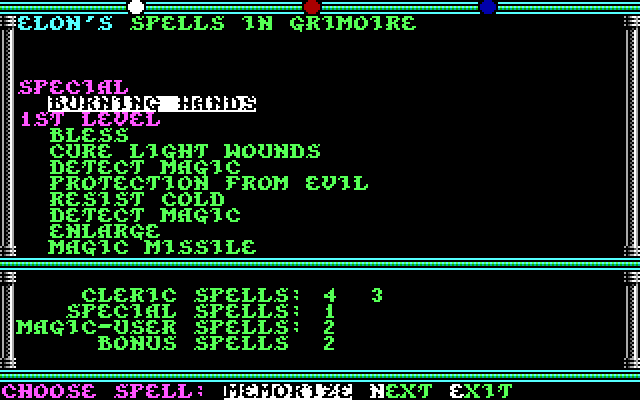 Magic works in different ways in adventure games and CRPGS. Go-go gadget retro-review! The manual has been read, the score-guesses have come in, and it’s time to actually play Inspector Gadget. This might seem silly, but I am struck first just by the question of what we should expect in an adventure for children. Some might argue (not incorrectly) that pretty much all adventure games are designed for children, even if some of those children are well into their thirties or beyond. With few exceptions, adventure games since the golden age have been all-ages affairs with puzzles and stories that would not be tremendously out of place for young people. So when I say “children”, I suppose I mean the younger ones. We at the Adventure Gamer don’t specialize in games for younger kids and I am not sure that we can review them fairly. I have personally reviewed only two so far, Dragon’s Keep (1982) and Winnie the Pooh (1985), while Aperama looked at Mixed Up Fairy Tales (1992). Trickster was famously uncertain about playing these adolescent adventure games, in large part because of how difficult it is to judge them on a scale that they never really aspired to. I will do what I can to be fair and to enjoy the games for what they are trying to do, rather than what an adult thinks they should do. All that is to say that I do not know yet how I will cover this game. I’m just going to start playing and start typing and we’ll see what happens. Yeah, that’s a picture of me fighting a dinosaur on the savannah with my paladin’s sword bathed in magical blue flame. It’s pulp. And that is a good thing. 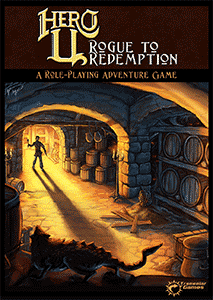 There are CRPG gamers and adventure gamers. And they are searching for different things. So. It's the moment of truth. Those who've been following along probably know that I've loved playing this game. But sometimes the scores of the PISSED system don't reflect the reviewer's own enjoyment. Will that be the case here? Will this be one of the highest rated games we've seen so far? Will I disappoint some fans of the game by giving a lower score than expected? Have you, like I usually do, already scrolled to the end to check out the final score before reading the actual post? Let's find out, shall we? 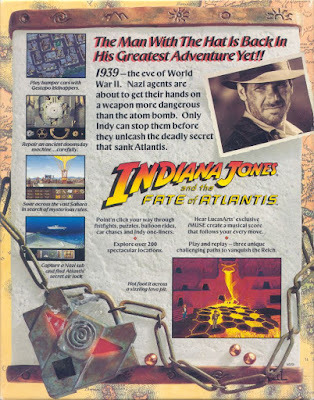 Fact: I was stumped in this game for a while and I only now noticed that if I looked at the back cover I'd have known that I needed a wheel for the Atlantean robot chest puzzle. We've received a lot of new readers this year and some of your introductory stories have had to wait rather long for their publication. Here are finally answers from our reader known as Biscuit, and no, he's probably not a character in yet another law show. Say what you will about 1992, but there were a lot of licensed games. We’ve already seen Sherlock Holmes, Indiana Jones, Gateway, Dune, Star Trek, L. A. Law, and Hook and we will have a few more before the year is out. 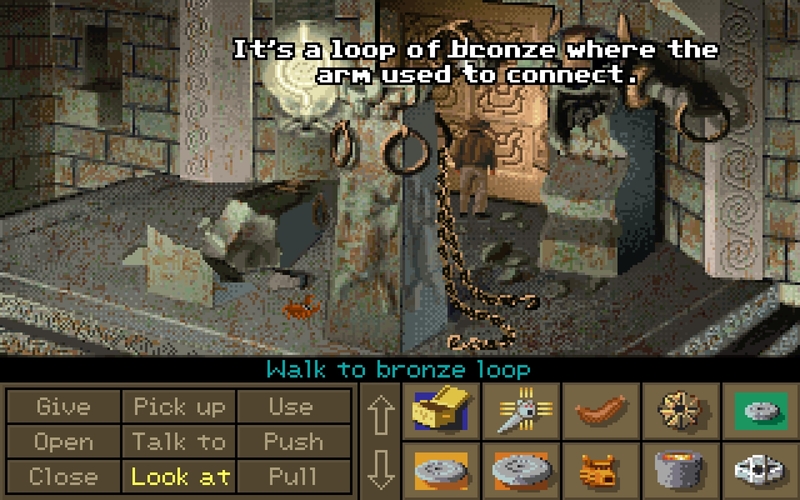 Is this the peak year where everyone wanted to get in the boat of low-quality point-and-click adventures? Had technology and design-plagiarism finally reached the point where these sorts of adventures were easy wins? Or did that same technology advancement mean that designers could finally produce the tie-in games that they had always dreamed of? I have no idea. 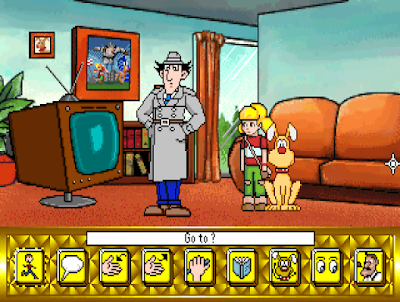 What I do know is that I have open on my laptop our first (and likely only) Inspector Gadget game. Are you excited? This game, given the unwieldy title of Inspector Gadget: Mission I: Global Terror, will be another of those games of uncertain pedigree that I find so difficult to predict. 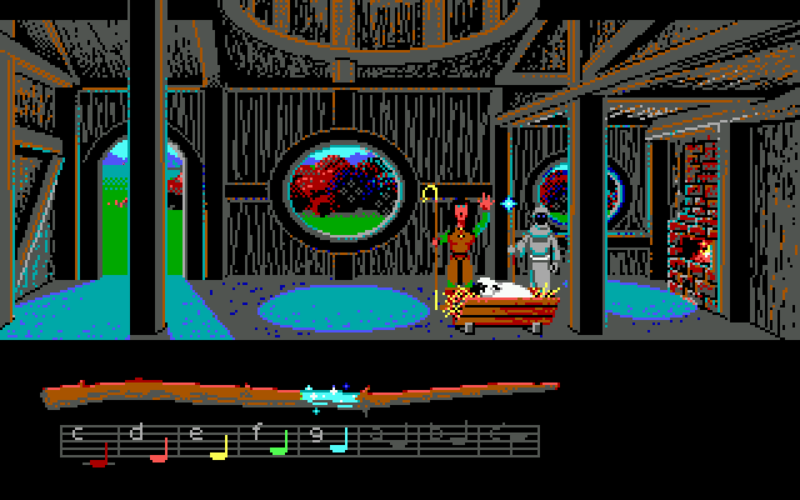 We have seen virtually unknown designers do amazing things in the first Lost Files of Sherlock Holmes game, while similarly unknown designers came up shorter in Hook and Star Trek: 25th Anniversary. 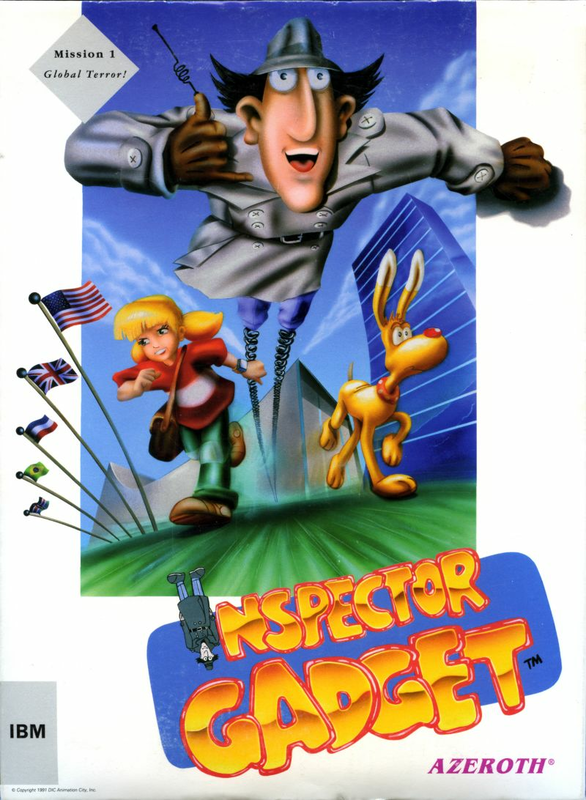 If this thing has one thing going for it, it is that Inspector Gadget is a pretty fun series and one of my favorites as a kid. If they manage to strike the right tone with a silly-but-interesting mystery with plenty for Penny and Brain to do, I could be pretty happy. And so the Hero of Spielberg and Prince of Shapeir’s journey to Tarna begins! 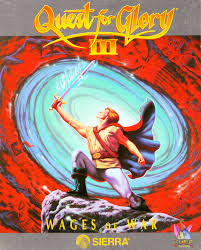 As Chet eloquently described in his initial Quest for Glory III post, this entire series is “tight.” Chet stole my thunder a little bit, as this is an aspect of game design I wanted to save for the final rating, but now is just as good a time as any to discuss it here, since I completely agree with him. My preferred term is well-crafted. Playing a well-crafted game provides an experience that feels satisfying and complete. The polish put into games like this speaks of additional effort beyond the 90 percent required to make the game at all. It’s this last 10 percent that separates the decent from the good to great games. There are few, or no, wasted screens or moments: every character and scene provides some kind of information to the player or something to do. Characters don’t act in ways that contradict everything that has come before. 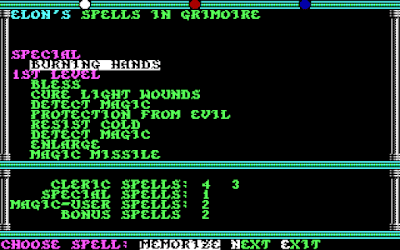 The game’s mechanics and game-world rules are well-explained and consistent throughout, both to the player and to the other characters. The game’s story hangs together on its own internal logic. There are few, if any, plot holes. There is no deus ex machina. Villains don’t just appear out of the blue. The explanation for each puzzle can be found within the game as opposed to the use of brute force inventory testing. The player is rarely, if ever, left wandering around bereft of direction. There are more, but I think it’s safe to say that the Quest for Glory games meet these criteria. From personal experience, I contend that The Secret of Monkey Island provides an equally well-crafted experience. 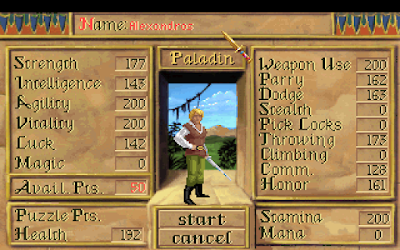 Conquests of the Longbow and King’s Quest VI are other games I can think of that uphold this ideal. Please let me know of others in the comments. I have to admit that “winning” meant this time rather heavy use of hints. In hindsight, I probably could have solved most of these puzzles with a little bit of persistence, but I was getting a bit tired of the game in whole. Oh well, enough of the excuses, let’s get on with the game. Let the Hero-U Month Begin! A wise man once said, "Magic is the essence and soul of life, and the Wizard is her poet." Truer words have not been spoken, but in our world "magic" comes through the design of fantastic games, and those designers are the poets. Ever since Trickster played Hero’s Quest, The Adventure Gamer has had the pleasure of cooperating with the Coles, the legendary designer couple behind, among other things, the beloved Quest for Glory -series. 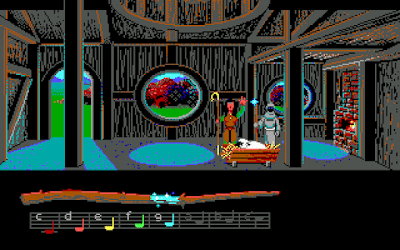 The blog has especially benefited from the comments of Corey Cole, who has always had time to reveal insights about their adventure games and to recount experiences about working at Sierra. With the happy coincidence of the combined playthrough of Quest for Glory III with CRPG Addict and the soon upcoming release of Hero-U, the long awaited new game from the Coles, the administrators of The Adventure Gamer have decided to dedicate the month to the past and future games of the Coles. 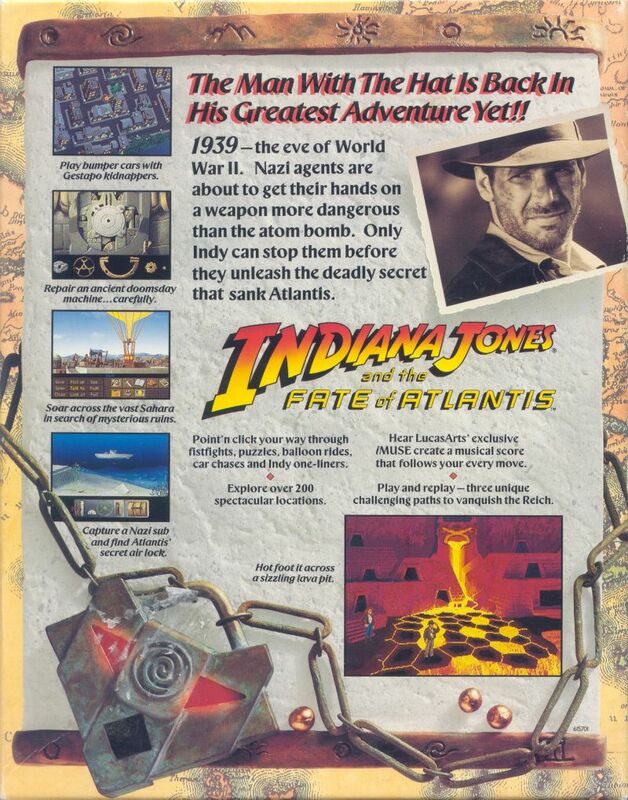 Indiana Jones and the Fate of Atlantis - WON! 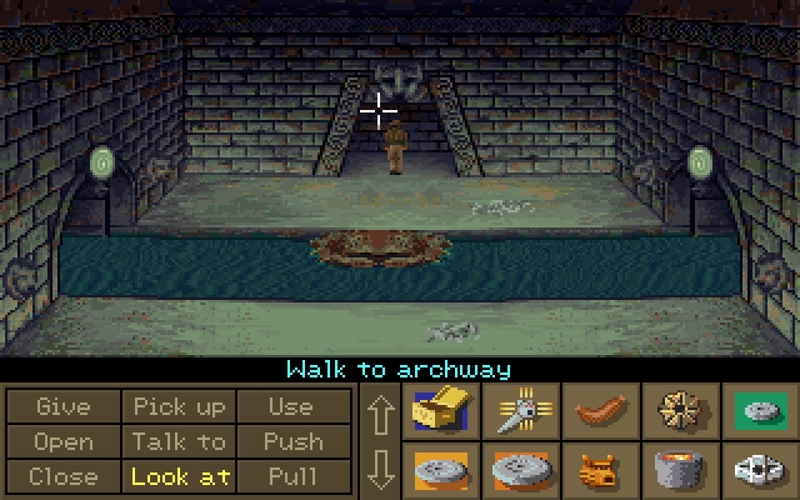 Indiana Jones Journal Entry #6: I've now used the same ladder three times. It's starting to rival my ship rib for usefulness. 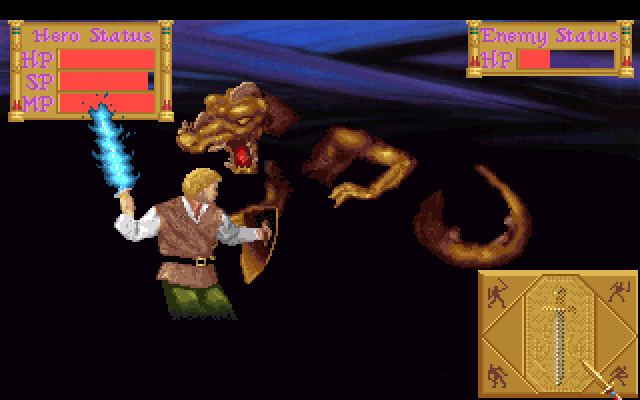 Oh, and I also discovered Atlantis and threw a god in a fire. This WON! post has been a while coming, so let's get right into it. When we last left the game I'd explored most of the Atlantean canal section. 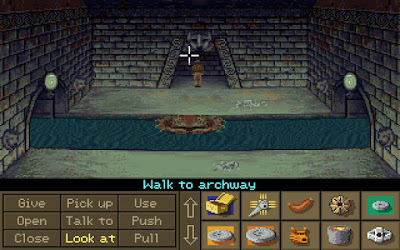 The one place I hadn't explored yet was a doorway that presumably leads to the inner circle of Atlantis. I bet there's something particularly exciting beyond this doorway. Or perhaps, it just leads to a different doorway. Is it an adventure game? Is it an RPG? Who put that peanut butter in my chocolate? 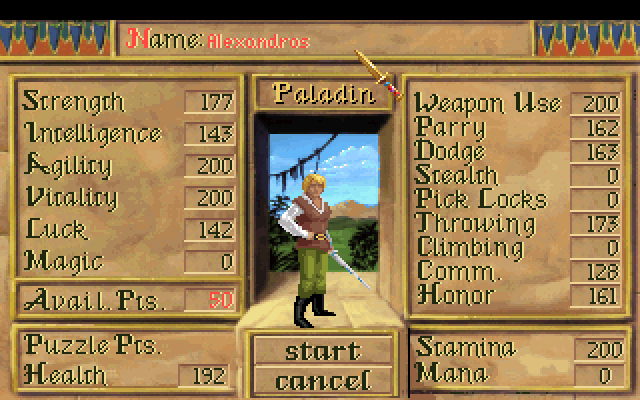 That’s right, it’s time for another Quest for Glory game to be featured on The Adventure Gamer. 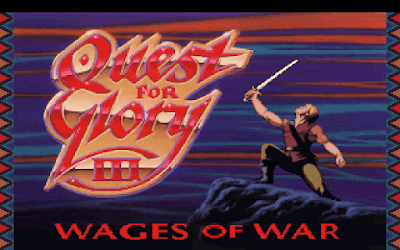 And I am humbled to be in the position of playing through one of my all-time favorite adventure games ever, Quest for Glory III: Wages of War. I ended my previous post with a list of puzzles I intended to solve. It goes without saying that I eventually had to rely on the clue sheet to solve at least some of them. I did manage to make one discovery completely by myself. You see, I had found way back in the beginning a pan, but only a short while ago I got the idea that maybe it wasn’t a frying pan, but a pan for finding gold. I went to the only river in the map and discovered a gold nugget. Another treasure to go!